Compared with implementing and managing Hadoop (a traditional on-premises data warehouse) a data warehouse built for the cloud can deliver a multitude of unique benefits. The question is, can enterprises get the processing potential of Hadoop and the best of traditional data warehousing, and still benefit from related emerging technologies? 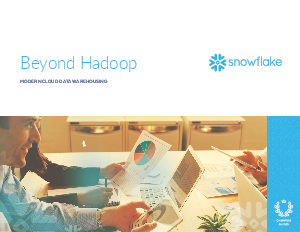 Read this eBook to see how modern cloud data warehousing presents a dramatically simpler but more power approach than both Hadoop and traditional on-premises or “cloud-washed” data warehouse solutions.